The ingredients in this keto bourbon chicken are about as simple as you can get, but the taste is huge. Yummy really doesn’t begin to describe it! 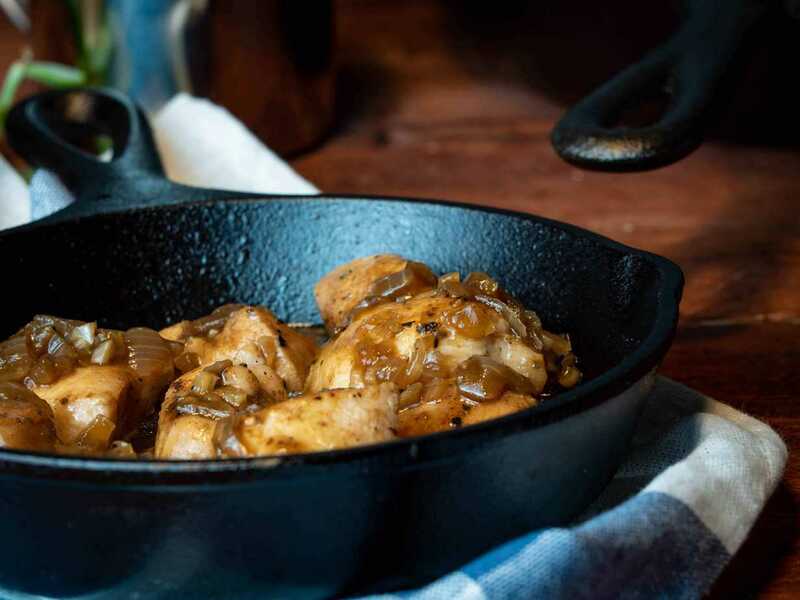 Bourbon chicken is a dish named after Bourbon Street in New Orleans, Louisiana, as well as one of the main flavoring ingredients being bourbon. The original, of course, is full of sugar which is a huge no-no on carbohydrate restricted diets. Bourbon chicken can be found at a plethora of restaurants, including fast-food Chinese joints all over the United States. Even though the original calls for soy sauce, the dish has no other Asian origins, making it odd these restaurants serve it. In order to make this delicious bourbon chicken, you’re going to need several ingredients on hand first. After you have these on hand, you’re ready to head to the kitchen and begin! Sear chicken until golden brown, flip for 2 minutes and remove from pan. Add remaining butter and saute garlic and onions until soft. Add bourbon and chicken stock and bring to a rolling boil. Season with more salt and pepper and add chicken. Simmer until chicken is cooked through and sauce begins to thicken. Serve chicken hot and drizzle with bourbon sauce. Eat, love, and enjoy! So maybe you want to try something different and not make this dish on the stovetop. If this is the case, below are two alternative ways you can make this dish. If you want to use an Instant Pot for this dish, you’ll need to make a few slight adjustments to the cooking directions. First, set the Instant Pot to saute mode. Follow steps 1 – 5 just like you would in a saucepan, but in the Instant Pot. After that, add the remaining ingredients and set the pot to pressure cook for 30 minutes. Let the pressure release gradually, instead of releasing it manually. Remove the lid and set the Instant Pot back to saute to begin thickening the sauce. As the sauce thickens, stir occasionally. After the sauce has thickened, serve and enjoy! If you’d like to use a slow-cooker, you’re going to want to follow steps 1 – 5 in a saucepan. After that, combine all of the ingredients into a slow-cooker and cook on high heat for 4 hours. If you’re planning to leave it cooking longer, then cook it on low (or medium, if your cooker allows). If you’re looking to reduce the sauce, you’ll want to heat it on high for an hour or so without a lid to help reduce the liquid. Serve and enjoy! If you are looking to spice up your bourbon chicken, there are plenty of ways to do this. First, ask yourself what kind of spice you’d like. If you want a spice “per bite,” then adding a diced pepper of some form would be a good idea. If you’re looking for a spice in the sauce, then you might consider something already pureed, such as a sauce. Regardless of which type you’d like, here are some ideas for you. If you find a method of spice you love, let us know in the comments below! DO I HAVE TO USE THE BOURBON? Well, yes, you do. 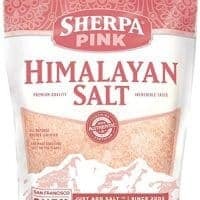 Unfortunately, it is certainly a needed ingredient. It gives the dish its signature taste, as well as a deep flavor. 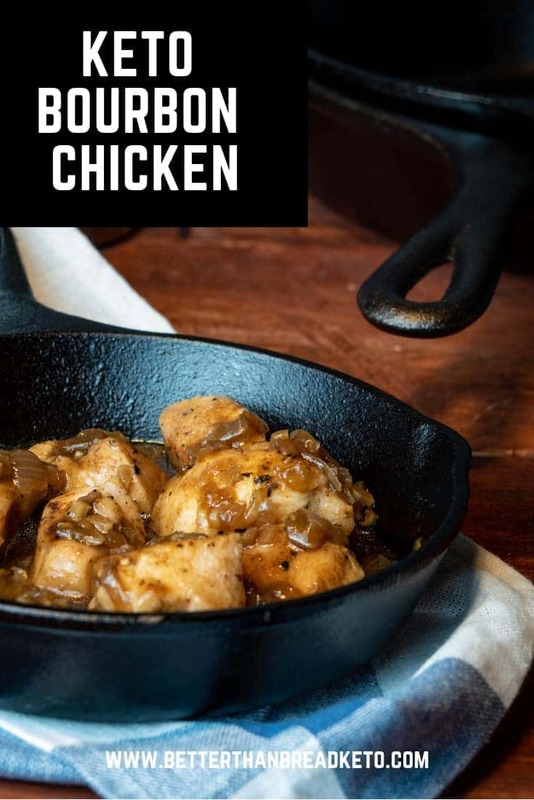 Storing keto bourbon chicken is incredibly easy! Any leftovers you may have can be easily stored for another meal. You’ll want to let the chicken cool down (certainly doesn’t have to reach room temperature, but doesn’t need to be piping hot either) before placing it into an air-tight storage container. As always, we recommend using glass storage containers as you can bake in them, reheat in them, and store food in them. They are definitely a win-win all the way around! 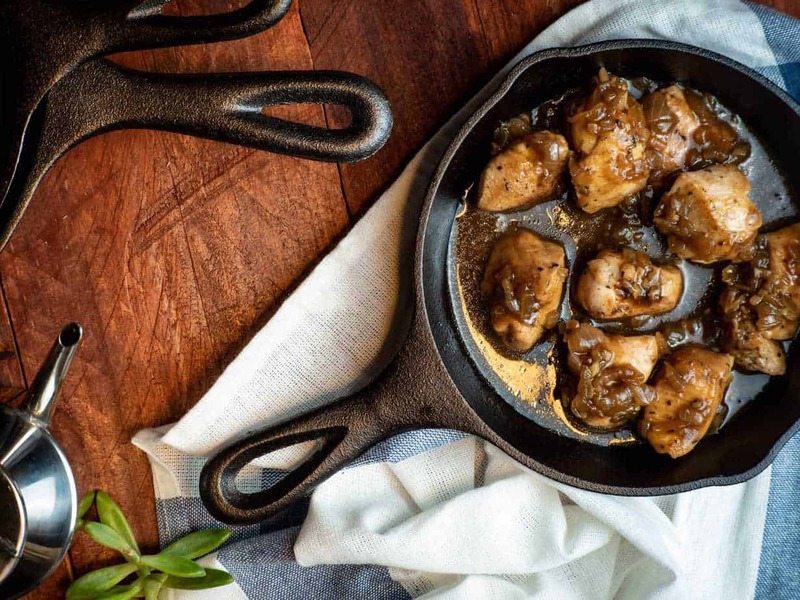 There are plenty of delicious dishes to serve with keto bourbon chicken. Here are few of our favorites if you are looking for some ideas. For more ideas, you can check out our recipe index, or check out all of our side dish recipes. Reheating your bourbon chicken is really pretty easy to do. However, as with reheating any dish with meat as the main ingredient, you must be cautious of not making the meat tough and chewy. 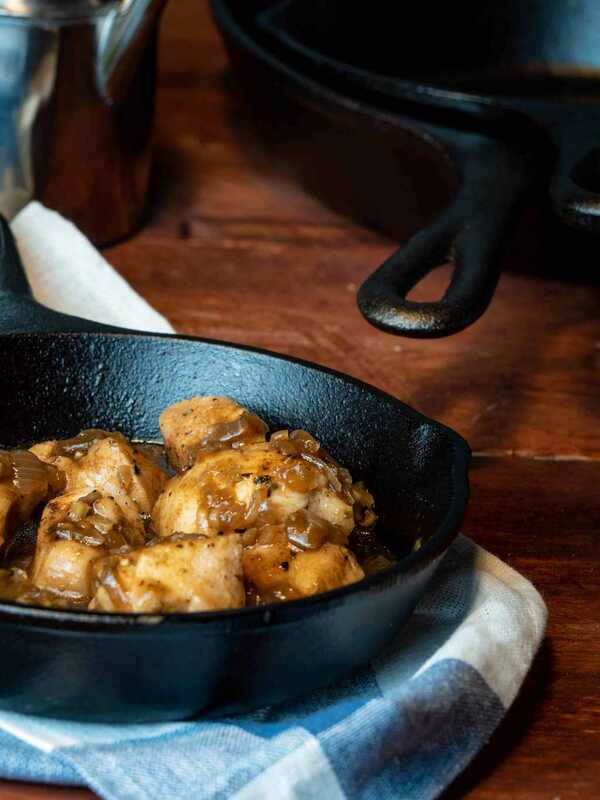 Here are a couple of methods of reheating your bourbon chicken, should you need some guidance. The quickest and simplest way to reheat your leftover bourbon chicken is in the microwave. Pop it in, turn it on for a few minutes, and voila. Nice, warm, and ready to eat. However, as we always mention, keep in mind microwaving meats can lead to them becoming tough and chewy. If “speed is the need,” then by all means use the microwave. If you have extra time, we recommend using one of the other two methods below. Reheating the chicken in the oven is probably the best method that doesn’t run the risk of making the meat tough. That is, unless you overcook it. Preheat your oven to 325˚F and place your leftovers inside in the glass storage dish (if you used one). If you didn’t, make sure to transfer them to an oven-safe container. After 8 – 10 minutes, give the dish a stir and check the temperature of the mixture. If more time is needed, continue to heat in 5 minute increments, stirring and temperature checking each time. When the chicken is reheated to your desired temperature, remove and serve! Leftover bourbon chicken can also be reheated on your stovetop. Place your leftovers into a skillet or saucepan over medium heat. Stirring occasionally, let the mixture heat to your desired temperature. You can check the temperature of the mixture as you stir. When the desired temperature is reached, remove the chicken from the stovetop and serve! The ingredients in this keto bourbon chicken are about as simple as you can get, but the taste is huge. Yummy really doesn't begin to describe it! We just updated the nutrition info… Not sure why we didn’t have that done before. Hope this helps!